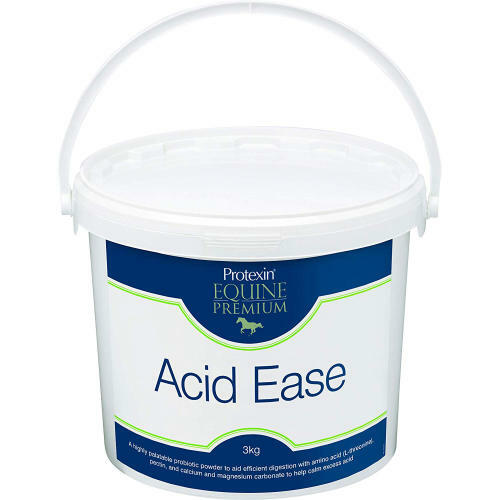 Protexin Acid Ease Digestive Horse Supplement is a concentrated and highly palatable formula that's ideal for calming excess acid in all horses and weaned foals. Protexin Acid Ease Digestive Horse Supplement contains calcium carbonate and magnesium carbonate, as well as kaolin, pectin and L-threonine which together act to buffer excess acid and soothe the gut lining. The high quality fibres - pectin and psyllium help make this a superior product.